Camp F-5 was established near the old mining town of Rochford. Floyd Hesler, an original member of Company 1790, who was stationed at Rochford went to the camp in 1986 to determine its exact location. He said the camp was 5 miles from Rochford--from the Rochford post office 0.7 mile west on road 305 to a bridge; left on road 306 for 3.5 miles to road 191 (White Tail Peak road), turn right; keep right at fork; pass a clump of three large aspens and a clump of two large aspens; turn right on an unused road; go around a point. On the left is the cement block that the power plant sat on and remnants of the well. 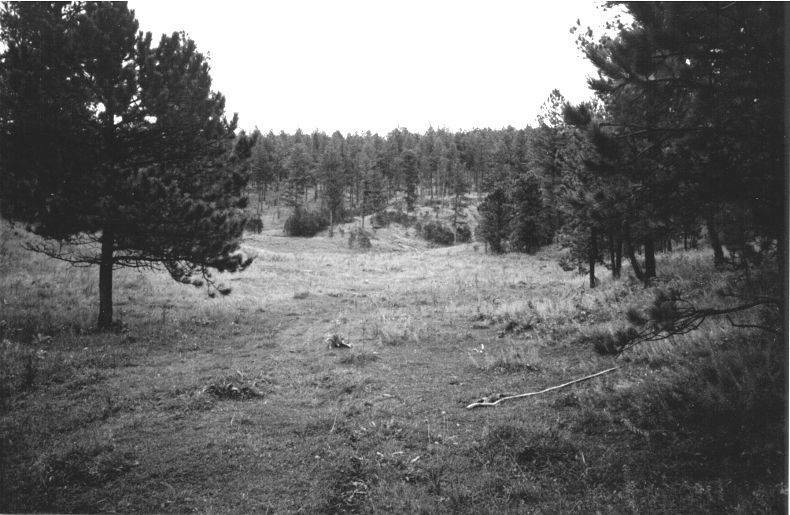 Staff at Black Hills National Forest headquarters plotted it near the center of the NE 1/4 of section 29, T 1S, R 4E. 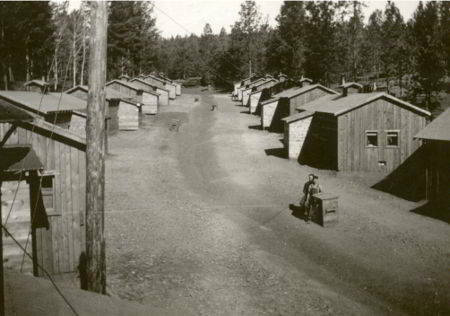 The camp was opened June 9, 1933, and closed January 20, 1936. About a week after arriving at Camp Rochford the company started work in the forest. 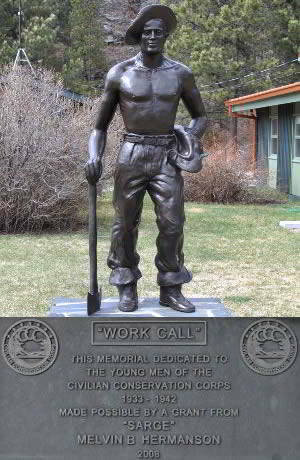 Most of the boys had never done any of this kind of work, and they had to be taught how to use an axe and the various other implements that were used by a woodsman (1934). 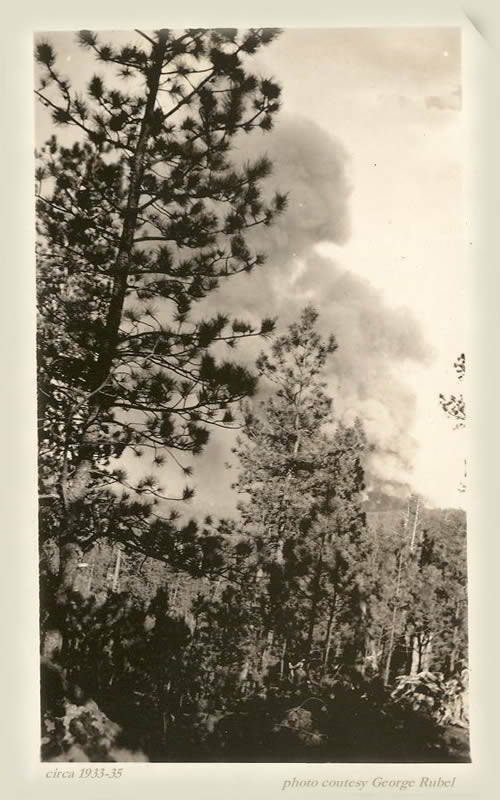 Work consisted of building fire trails to reduce the fire hazard; and suppressed and defective trees were removed to allow dominant and thrifty ones to grow (1934).